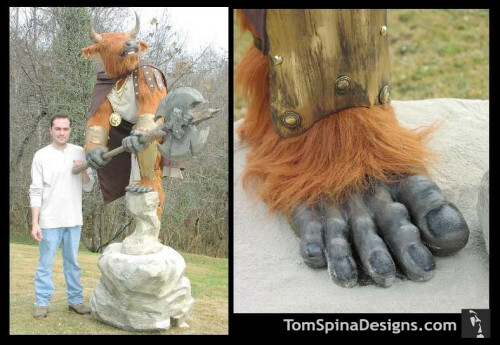 A custom minotaur statue for a mythology museum. 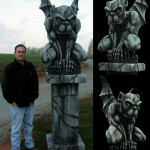 This custom carved Minotaur statue is a life sized display sculpted for a mythology museum. The minotaur is a large scale custom foam character created by Richard Riley based on the mythical creature that is half man and half bull. His sculpture is not only larger than a normal sized man, but is full of small realistic details which really give it a sense of realism and history. He caries an oversized faux metal axe prop, made from a mix of foam and other materials. He’s dressed in gladiatorial attire and ready for battle! He stands on a stone plinth as if he’s looking out over the troops and preparing to jump into the fray! 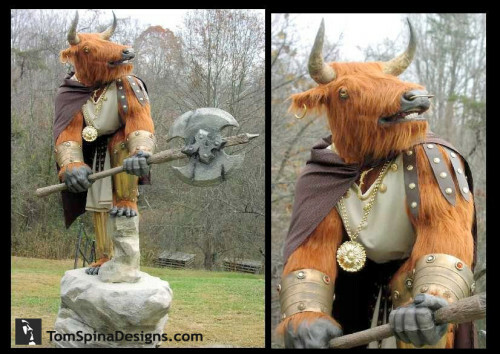 Though this was made long before the recent Chronicles of Narnia movies, this life sized statue brings to mind the awesome minotaur creatures featured in those films. 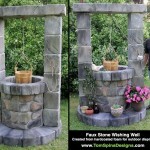 A figure like this would be a wonderful bit of theming for a fan of those films or of fantasy film or literature in general. He just needs a labyrinth to guard! 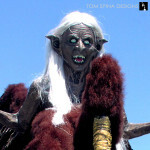 We love creating creatures and themed props for marketing events, trade shows, museums, photo-ops or even people’s homes. 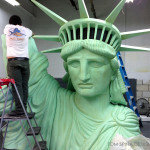 We can create them as statues and life sized figures or even as custom movie style costumes for your next production! 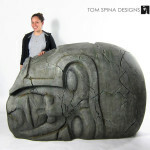 Looking for a prop or statue for your home theater or office?